When you’ve had the same hairstyle for too long you may start to feel a bit antsy. Suddenly, everyone seems to be getting drastic makeovers, and you need to change up your look now. One option? Chop it. Going short is a great way to give yourself a completely different look. This can also be quite terrifying, especially if you’re used to having long, flowing locks. Fear not, friends! 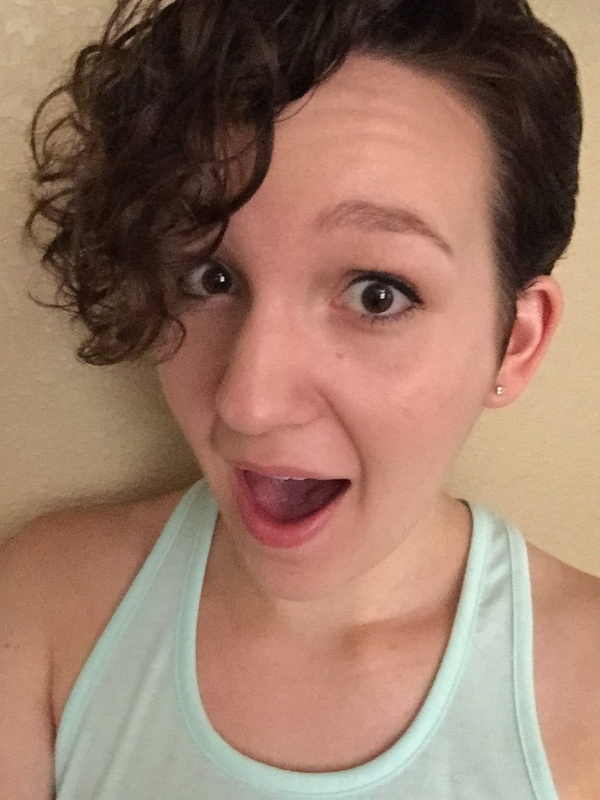 I survived the transition from long to short, and I have a few quick tips to help you on your own journey to pixie land. Tip 1: Find a style that works for you. This means taking into account face shape, hair texture, how short you’re comfortable with and how much maintenance you want to deal with after the initial cut. Instagram and Pinterest are great places to find inspiration. Your facial features may seem more defined when you go short, so try searching for people that have your face shape to get an idea of how their styles will look on you. How your hair responds to the style can be tricky to predict, especially for those with curly hair like myself, so look for styles with a similar texture to yours. Don’t forget to consider the back and sides of the head, not just the front! Tip 2: Take other’s opinions into consideration, but don’t let them hold you back. This sounds like just a generic life tip, but it is important to remember when making decisions on your personal style. Some might tell you short hair will make you look less feminine, more childish, less attractive, too edgy, etc. It’s all about what you want though, and these comments may not even be true. Example: My mom warned me I would look young, but it turns out I look more “grown up”. If femininity is a big concern, remember that appearing less feminine does not equate to appearing less attractive. You will never be everyone’s cup of tea, so brew your style to your unique taste. If feminine is what you like, headbands and bows can add a girly flare to any style. Tip 3: It will grow back! Hair grows faster than one might expect, so don’t worry if you decide you miss your long hair too much. You never really know how it will look until it’s done, and that’s part of the fun anyway. You can always grow it out again, and at least you can say you tried it. If your hair is at least eight inches long, you can also have the added satisfaction of donating it to companies like Pantene that have programs to make wigs for cancer patients. On the other hand, you may love it. There are so many options to play with, you might be dreaming of your next hair appointment within a couple weeks. Whether you’re tired of cleaning hair out of the shower drain or realizing a ponytail is not going to cut it in the Arizona heat, a pixie may be something to consider. Hopefully these tips have inspired those of you thinking about going for the big cut – I truly believe anyone can pull it off.